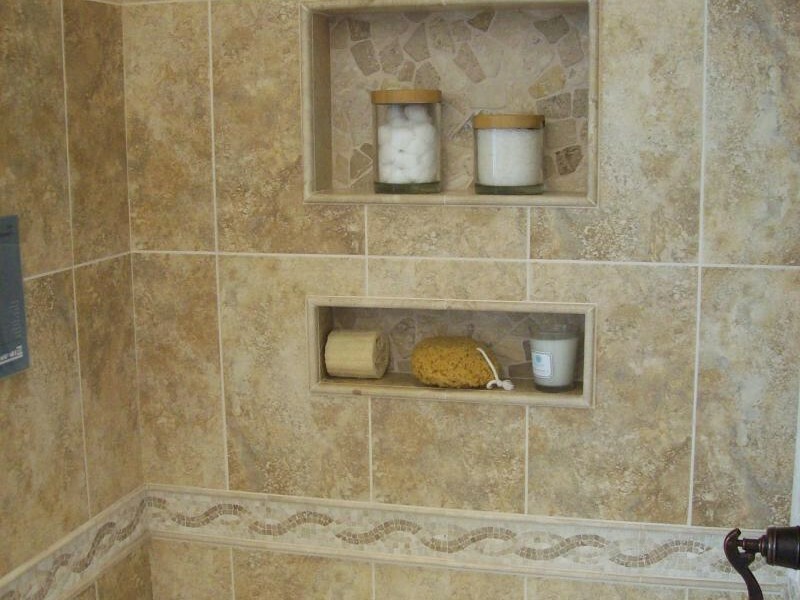 This post will share shower shelves ideas that can be a nice inspiration for you. 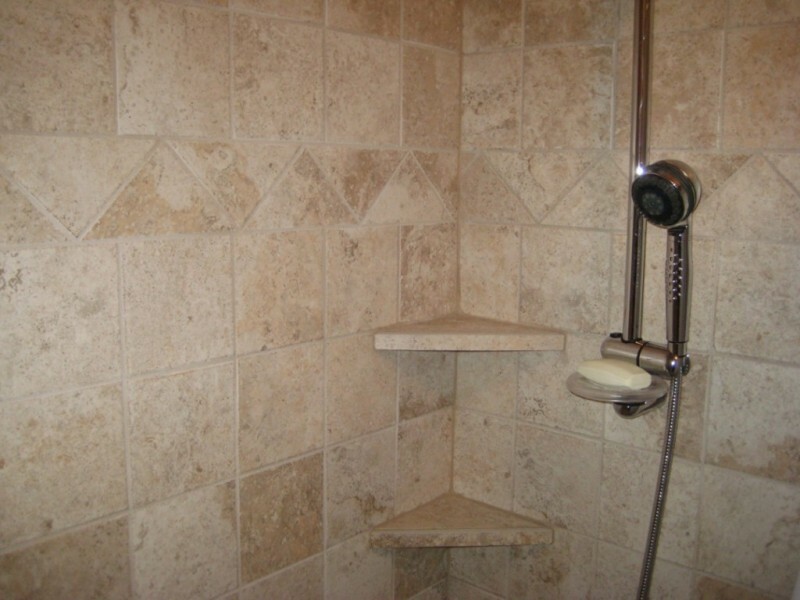 Enhancing your bathroom by adding a new shower shelves is a cool thing to do. It lets you to have additional storage design with some minimalist appearance. Of course, the designs are various enough. You can select it based on your main interior theme. By matching the interior design with your own room theme, you will get better interior appearance in such a fabulous impression. 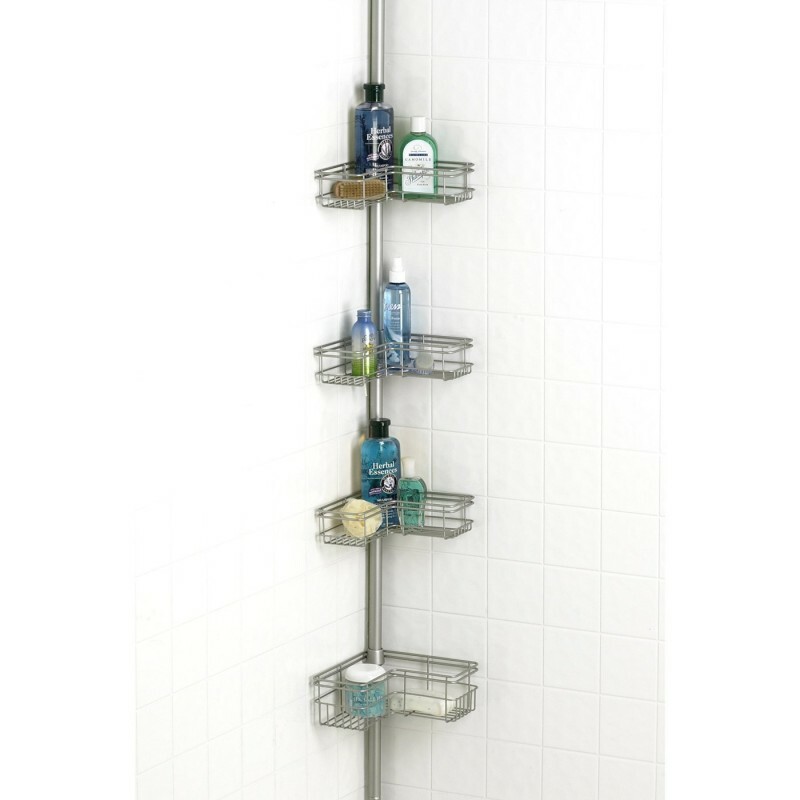 Here we go, let’s take a look some of these cool shelves designs for your shower! 01. 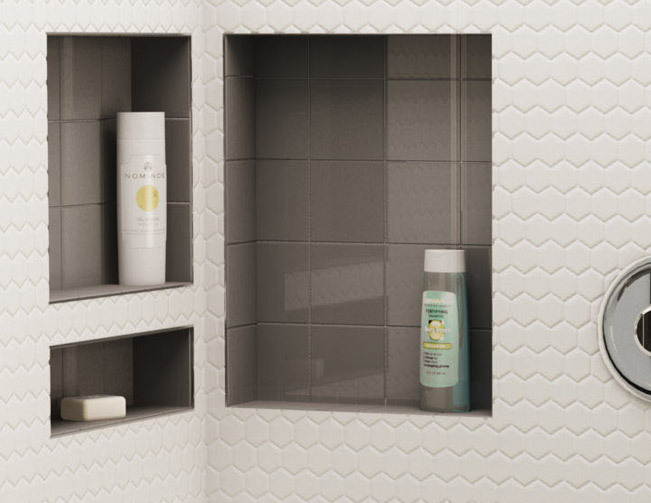 Just like a window, you can easily build this minimalist shelf for your shower. It just need a simple carving inside your bathroom wall. The ceramic layer on this shelf is also providing nice interior appearance. 02. Hidden shelf inside the shower accent is also amazing. This bathroom has nice shelf design with its hidden appearance. It’s covered by the bright color as a strip on its wall. 03. If you don’t want to make some built-in shelf, then just get a removable shelf. 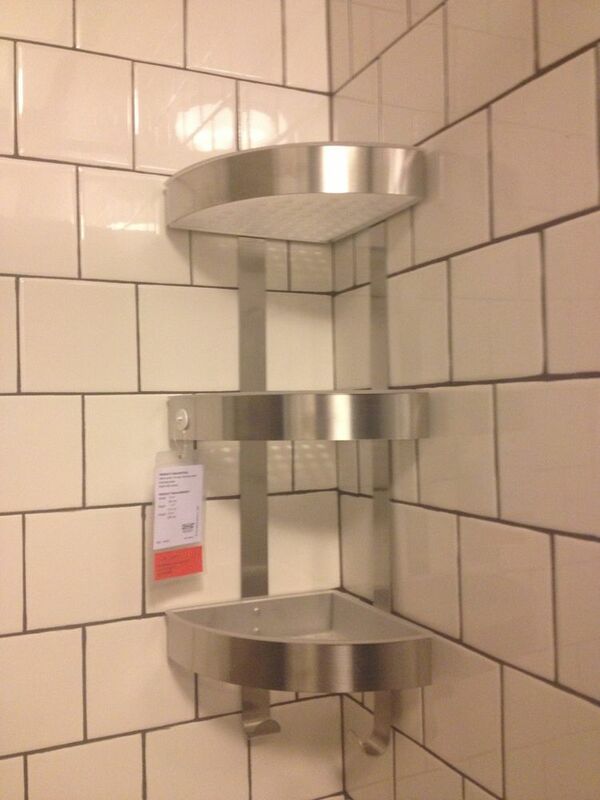 Elegant with its aluminum material, this shelf is just awesome to be a cool interior layout on your shower. 04. Somehow, these shelves are unique enough. They can be a nice decor! Look at how beautiful these shelves can be! 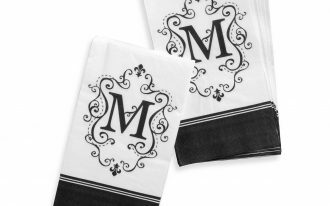 It looks trendy enough with a chic element inside its design. 05. The corner is a nice area for making a minimalist shower shelf. 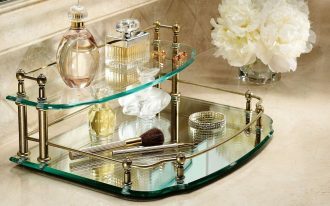 This is a good choice for you who want to get simple and stunning shelf design inside your bathroom. 06. The large shelf is also a good thing to get. 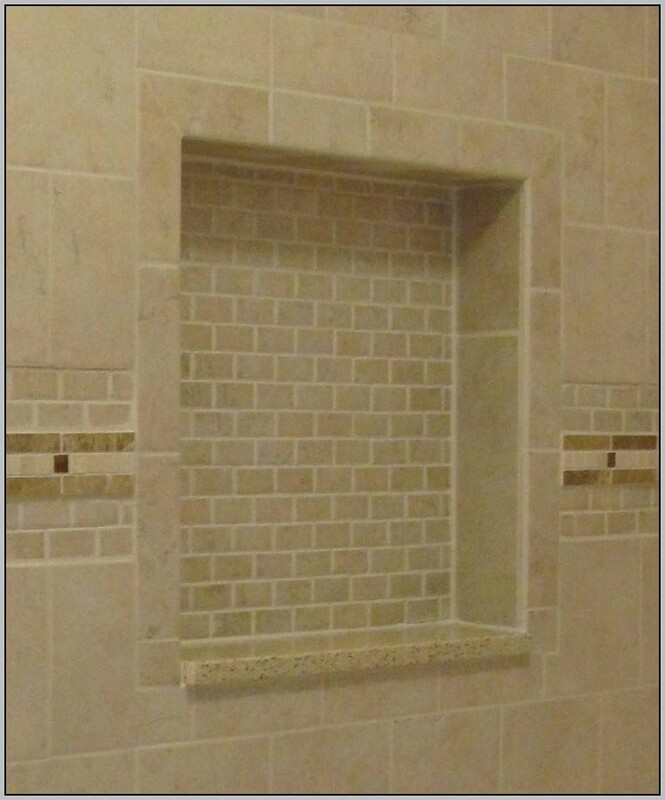 The recessed shower shelf design is bringing new coziness for your bathroom. It enhances its minimalism. 07. Stunning shelf design with square shape. Look at this one. This shelf has a square shape with its unique accent. 08. 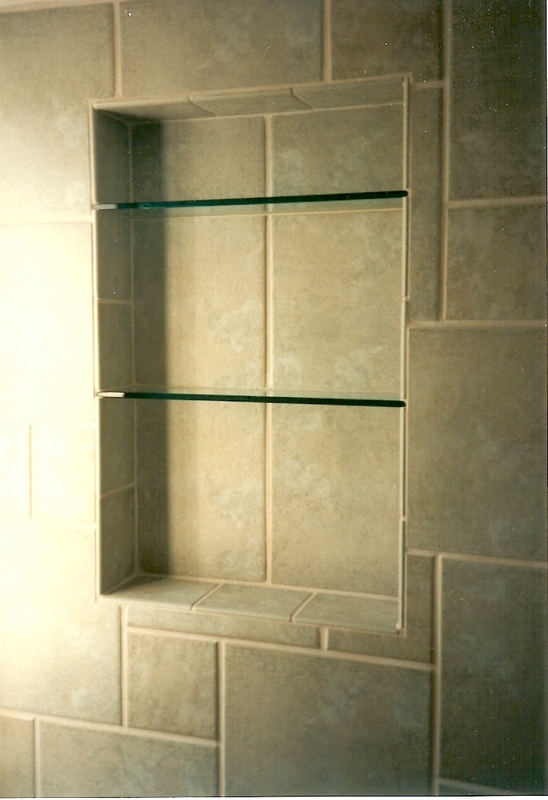 Standard shower shelf with nice recessed accent. 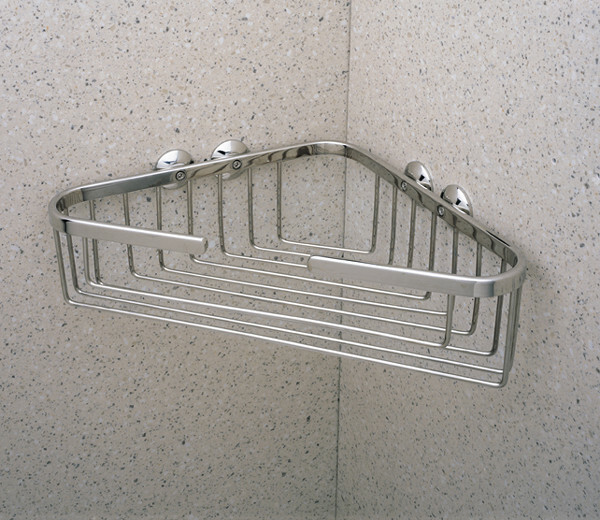 If you want to get some modern bathroom appearance, then you can use this shelf design for your shower. 09. 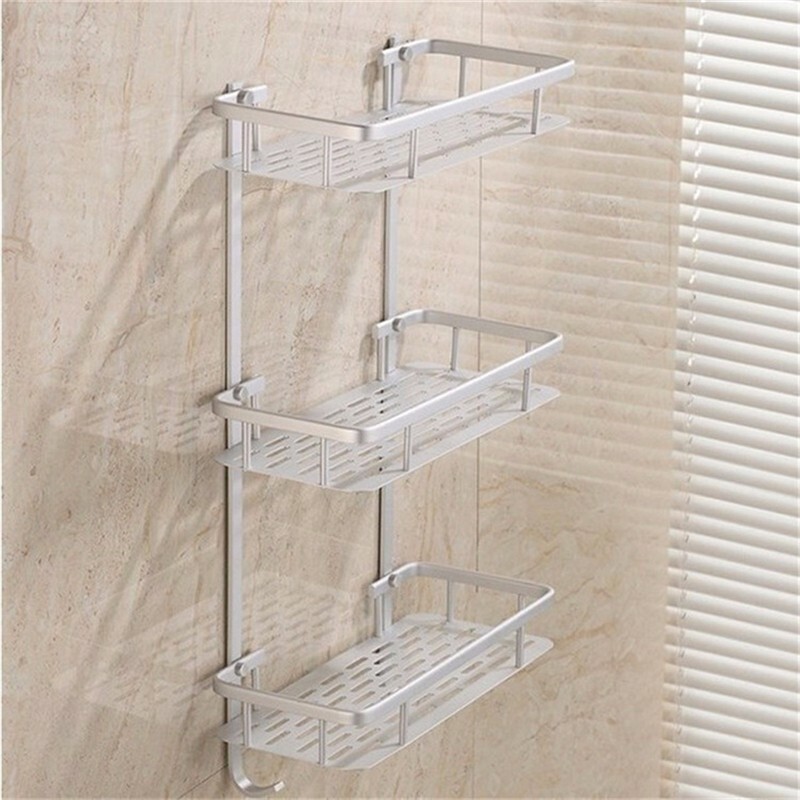 Minimalist shelf design with chic and comfortable shape in shower corner. As a quarter piece of rounded shape, this is a nice shelf design with minimalist appearance. 10. 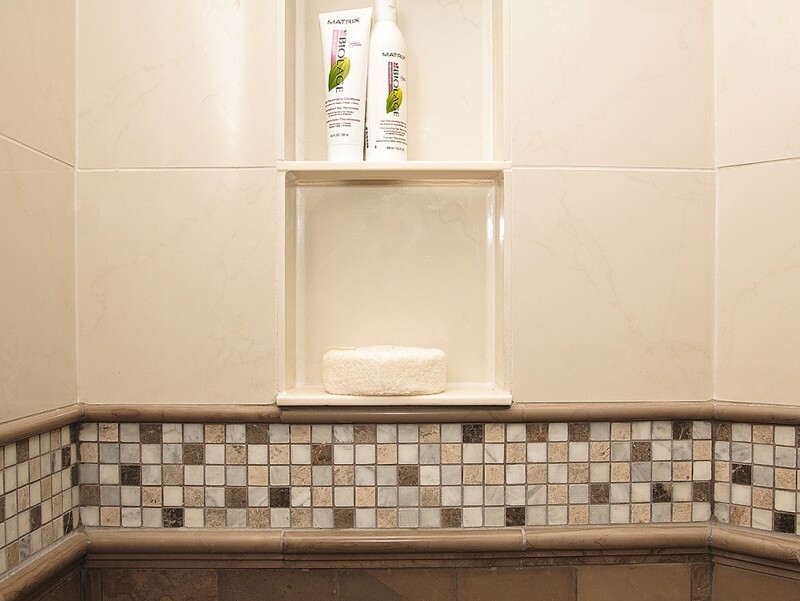 Nice mosaic texture for better shower shelf design. This shelf design has a standard shape with its rectangular appearance. What makes it different is about its motifs. 11. 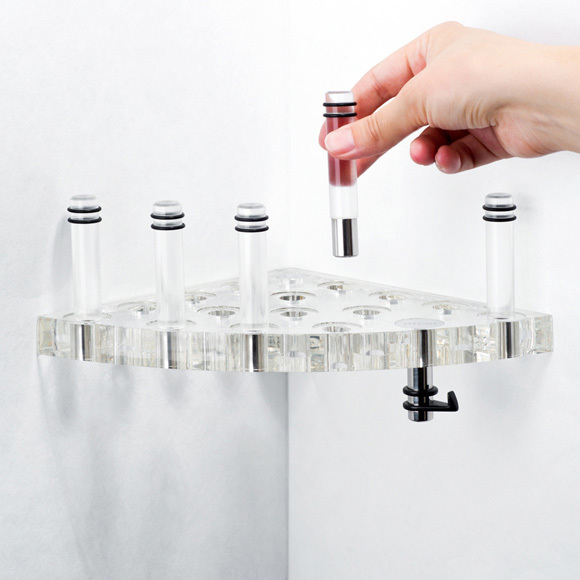 Transparent shelf design made from glass with quarter-rounded shape. 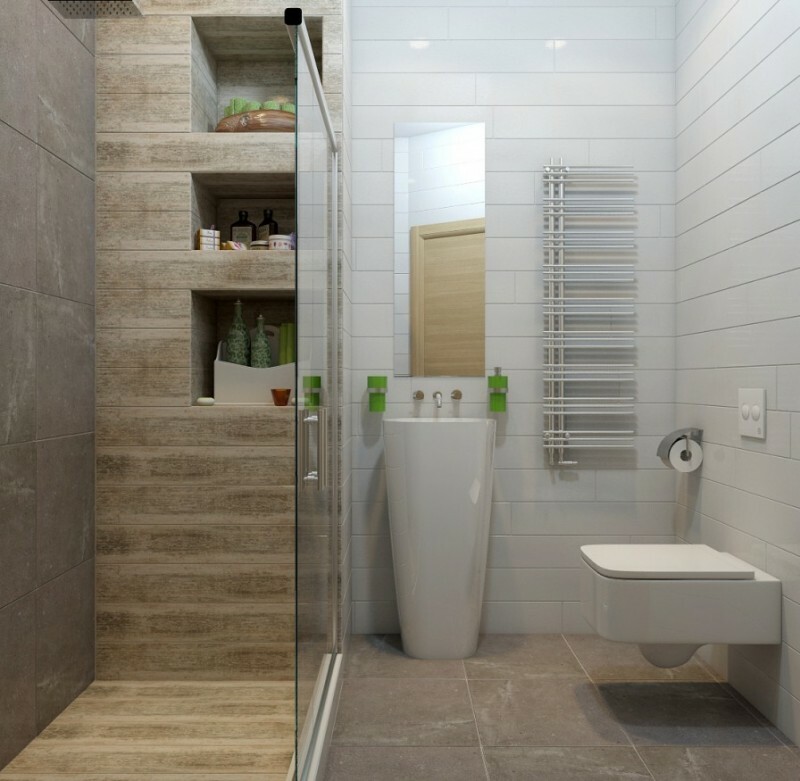 Gaining a modern interior appearance in your bathroom is just as simple as like this one. 12. Enough for the rounded shape, a transparent rectangular glass is also better. This rectangular glass for the shelf design is also quite interesting. It looks minimalist with nice transparent layer. 13. 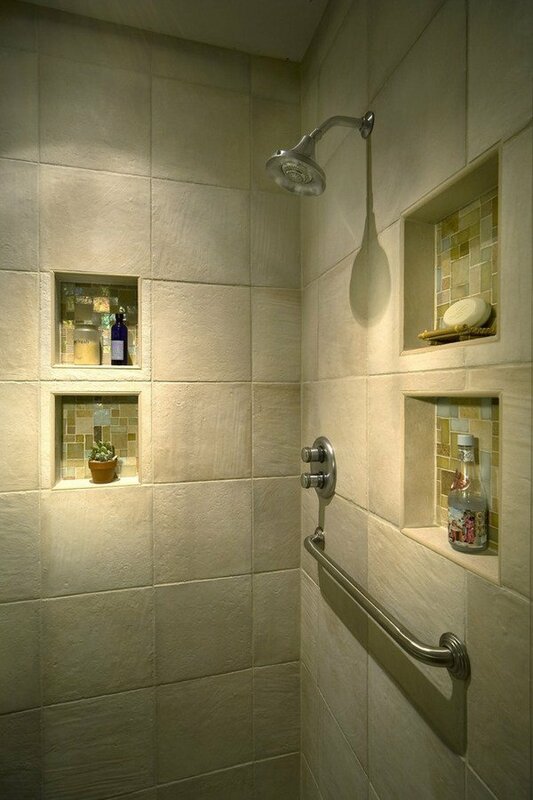 Impressive shower shelf with chic layout. 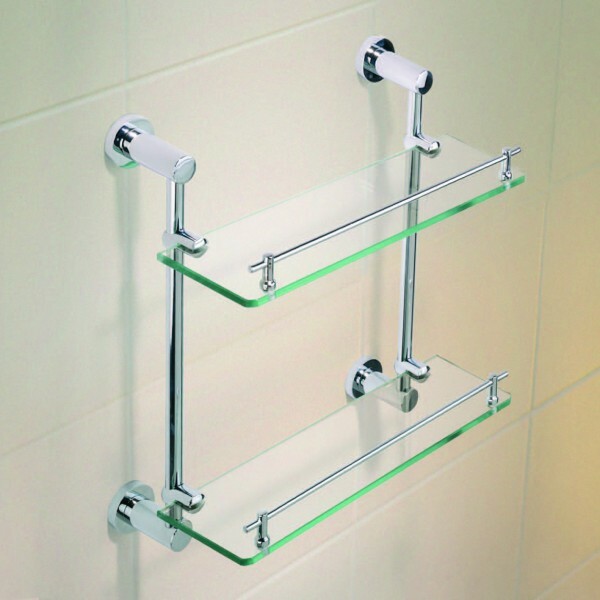 This shower shelf has amazing design using a comfortable rectangular design. 14. If you need an accent, then this is a good shelf idea to try. The corner area of your bathroom can be used as the placement for this shelf. It looks mesmerizing enough with unique layout. 15. Modern bathroom design with chic interior accent. The shelves on this bathroom are providing nice storage appearance with its contemporary theme. It looks soft with a trendy color choice. 16. 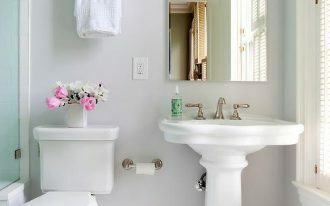 Maximizing your bathroom are can be done easily. This is a good example of how to transform your bathroom corner into a new shelving design. It looks beautiful enough with cozy interior appearance. 17. The triangular shape is also no less attractive. 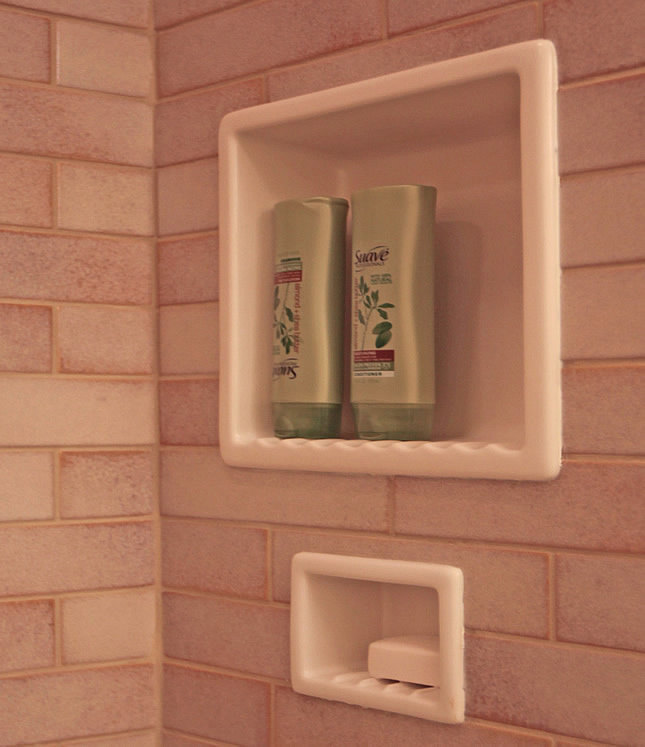 Simply make a cut for the unused ceramic, attach it into the bathroom corner and get a new storage design like this. 18. Unique bathroom wall with curvy shelving appearance. The curvy wall on this bathroom design is not a big problem for adding new shelves. 19. 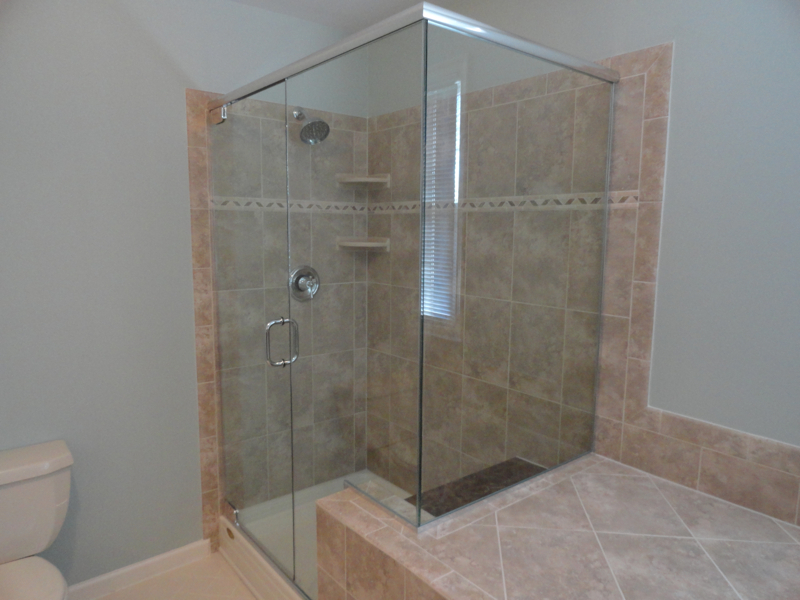 This shower design is also providing aluminum shelving with its modern appearance. 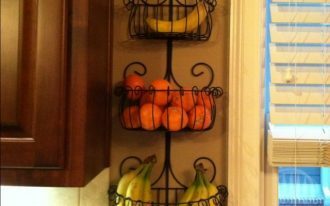 Look at how adorable this shelving design. It has aluminum surface with nice appearance on its style. 20. Corner shelf is just the best way for saving the space. 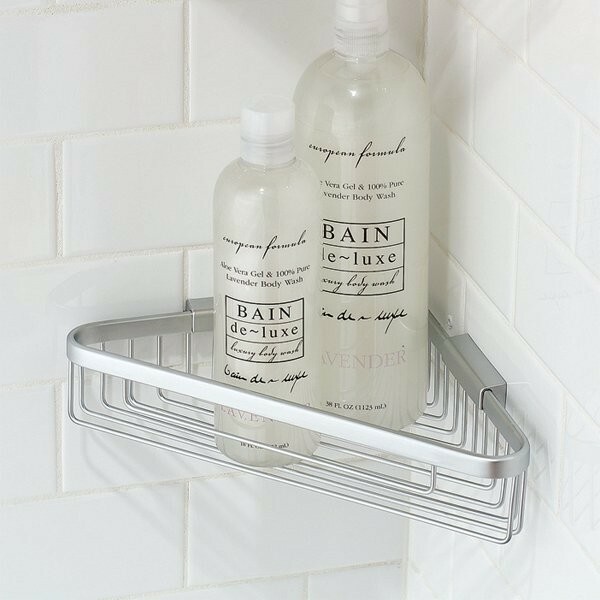 This shower shelf is also modern enough with its cozy appearance. 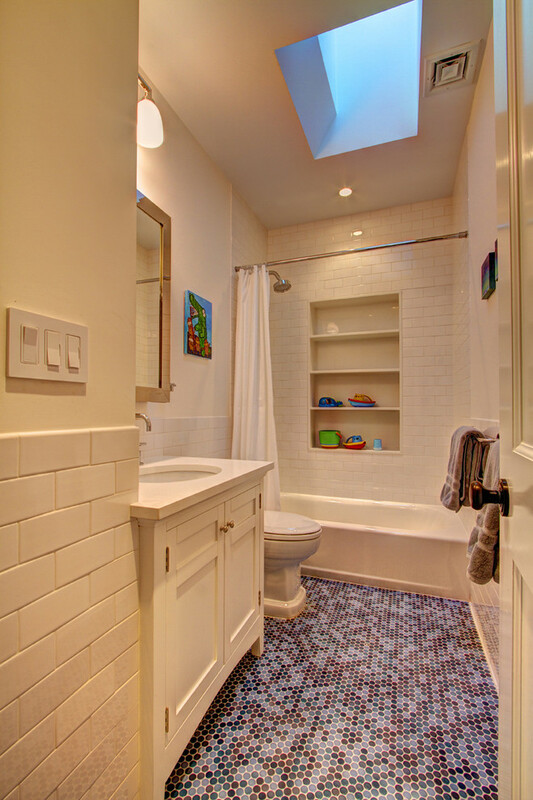 It transforms the main bathroom design into some chic and comfortable area. 21. 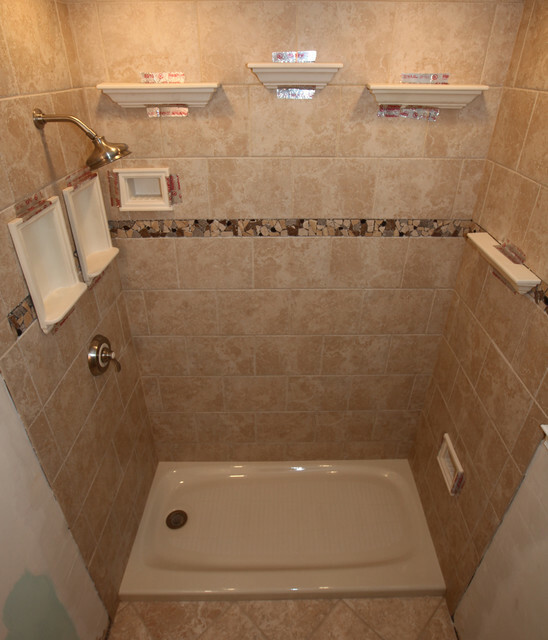 Clean and organized, that is the main goal of adding new shower shelf. 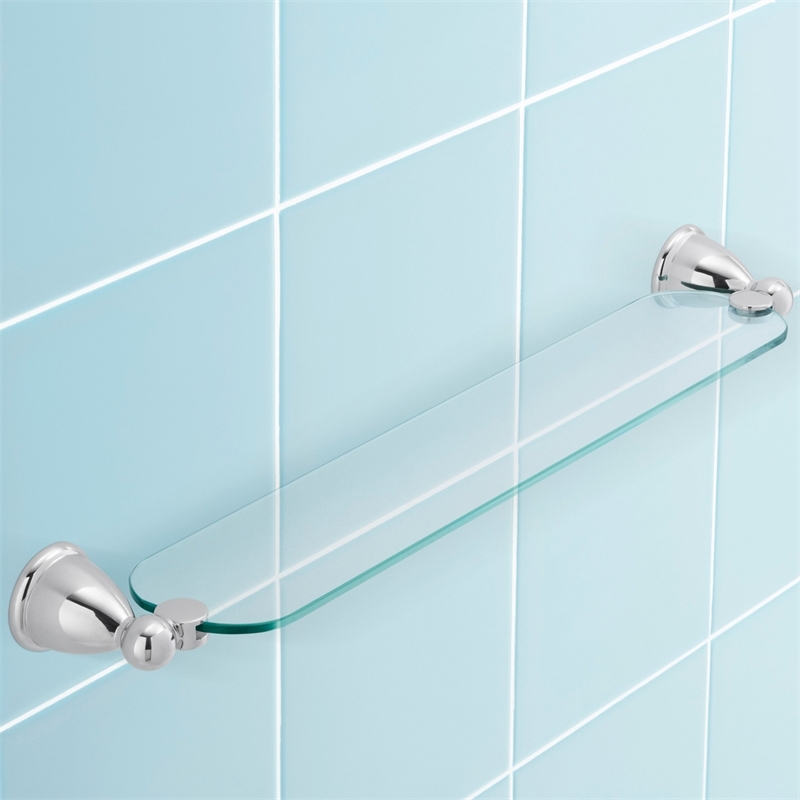 This shower shelf has a clear appearance made from glass texture. It also brings unique room design with its transparent layer. 22. The built-in shower shelf is a good choice for maximizing your room shape. 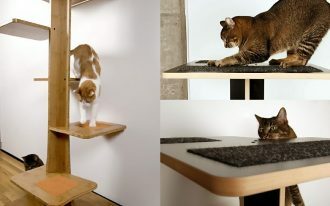 The room design looks trendy enough with its comfortable shelf. It also provides nice storage layout with chic appearance. 23. Different shelf designs with various shapes in corner. This shelf design looks comfortable enough with its mesmerizing appearance. It also provides stunning room layout in such a minimalist accent. 24. 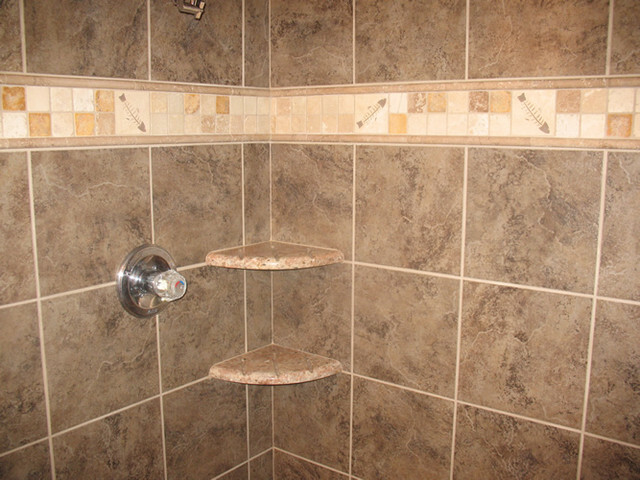 Trendy color inside the shelf brings a unique accent for your shower. 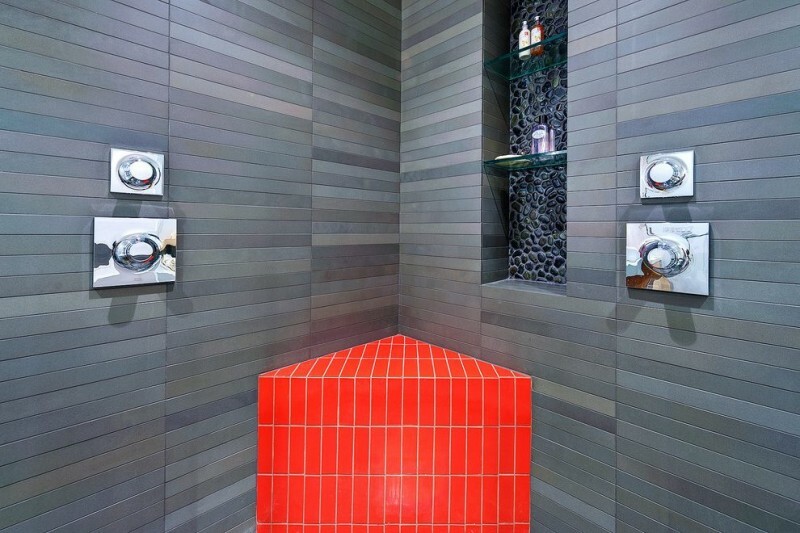 Look at how amazing this shower design with its convenient color style. It just brings a contemporary nuance inside there. 25. 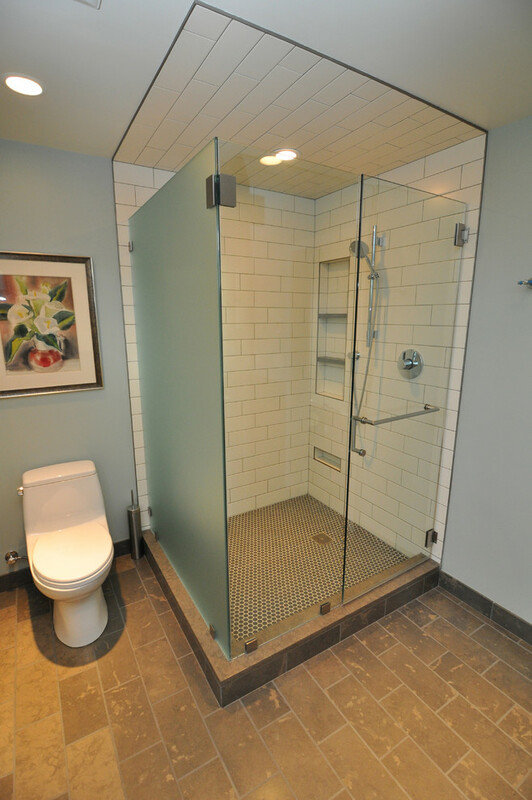 Glass with a transparent layer is gaining your bathroom elegance. It brings different appearance for your bathroom. 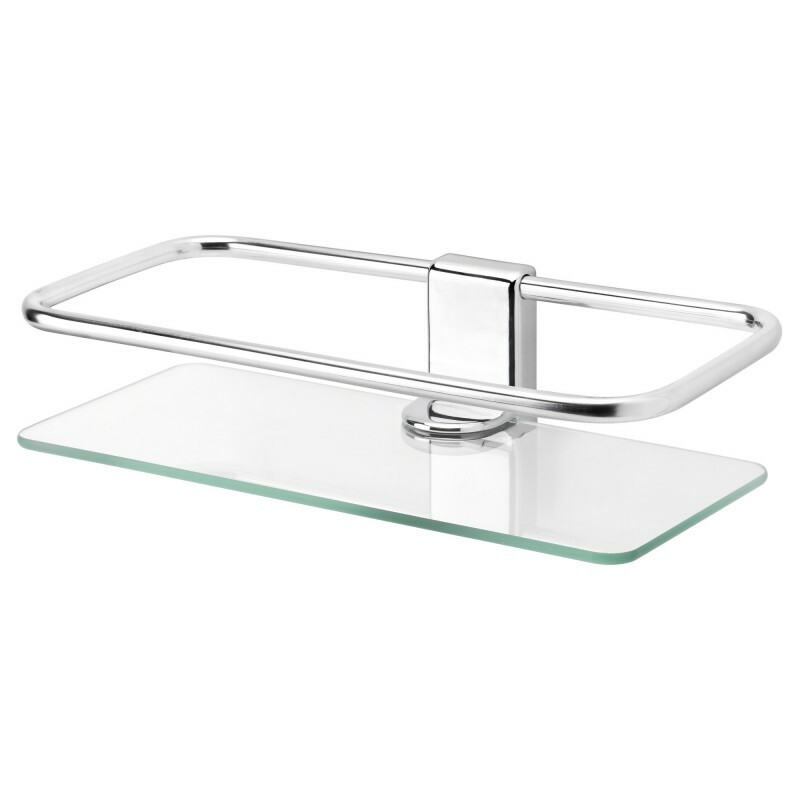 Moreover, the glass shelf is also “numero uno” for maximizing the modern bathroom impression. 26. 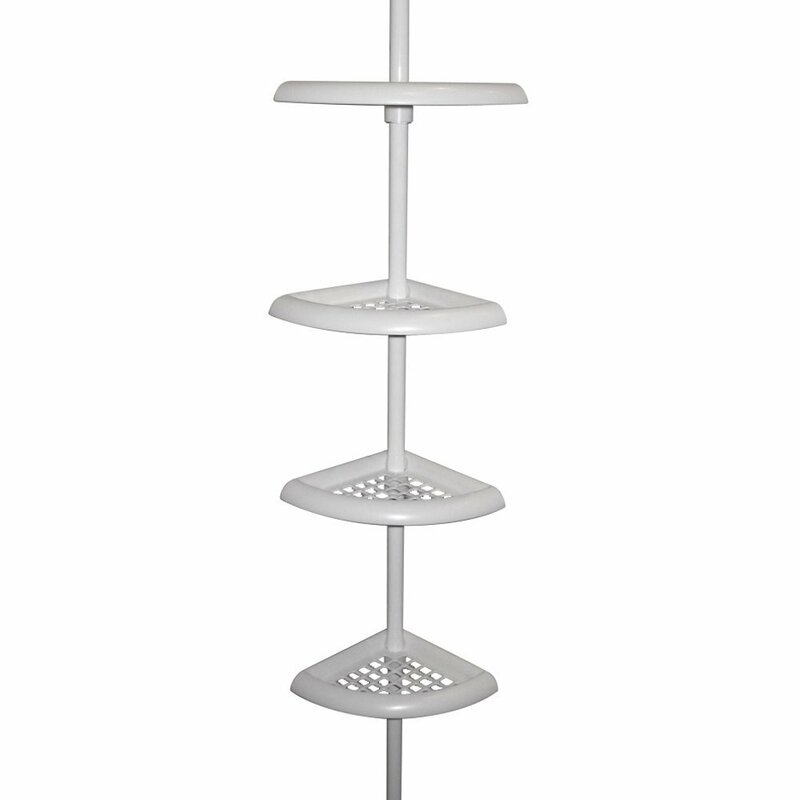 Corner shelf design made from applicable storage. Installing this shelf design for your bathroom is simple. Just attach it on your corner and there you go, you will get this minimalist storage. 27. Simple plate with silver appearance as a new shower shelf. This plate is a good choice for creating minimalist bathroom design. It also creates unique room layout with cozy appearance. 28. Stunning corner shelving with aluminum choice. This shelf is also stunning enough using its chic and comfortable storage appearance. 29. 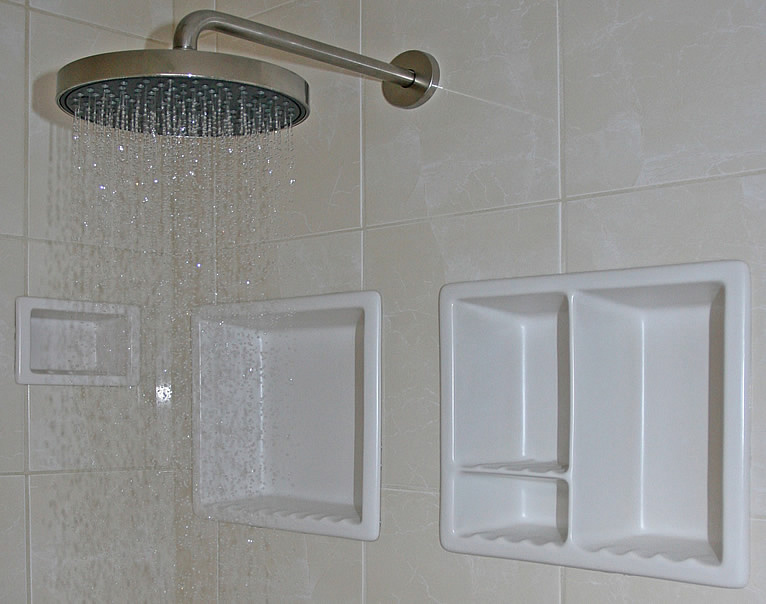 The bricklayer inside this shower shelf is just awesome. If you want to get a vintage nuance for your bathroom, then just try to build this kind of shelf made with brick texture. 30. Corner shelf with unique layout is also recommended. This is a good choice for they who want to get mesmerizing interior design with a simple accent. It looks fabulous enough. 31. 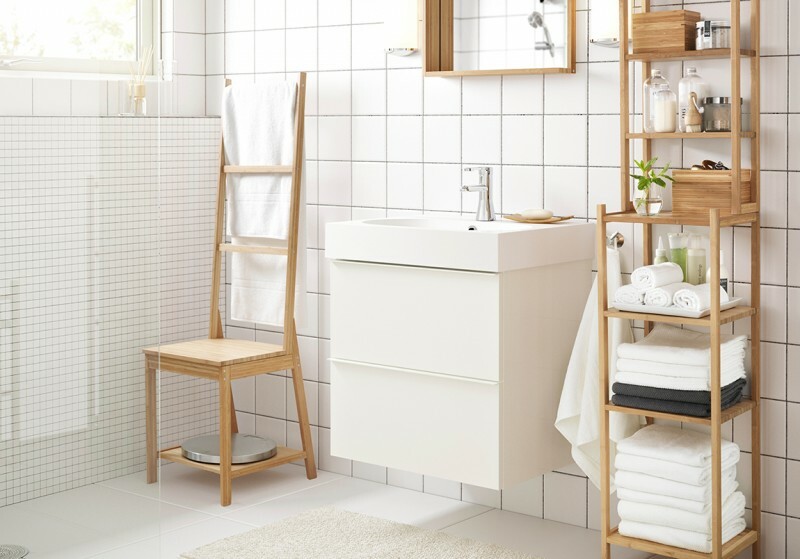 Minimalist bathroom with chic storage setting. 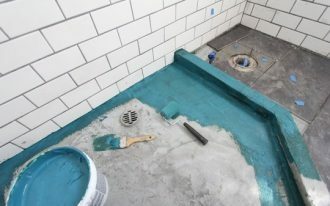 This bathroom has unique appearance with different layout. It also brings stunning room design in such a trendy color option. 32. Wooden storage with comfortable appearance. If you want to get a minimalist bathroom design, then this one is just no less attractive. It provides unique room layout in such a cool theme. 33. Different corner shelving made from marble textures. This room design has an exclusive impression because of its marble texture. 34. Simple board design as a convenient corner shelf. This board design looks minimalist enough with its black color. It also has firm texture as a tray for your shower. 35. 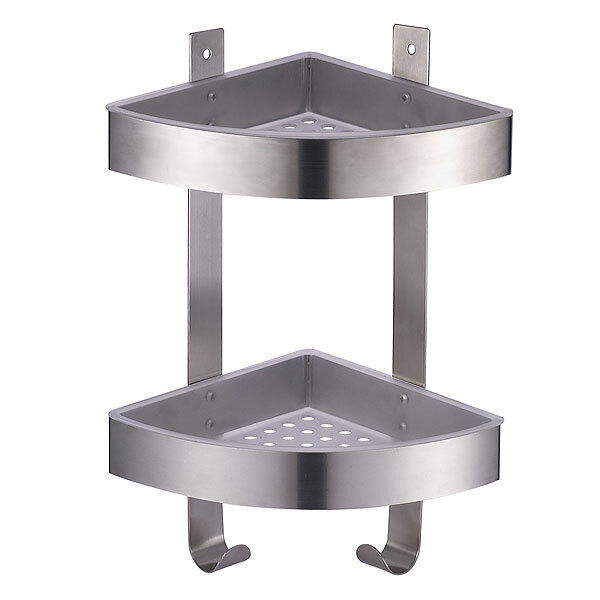 Triangular shower shelf is a good choice for filling the bathroom corner. It looks awesome with minimalist appearance. The aluminum texture is also shiny over its surface. 36. Removable shelves made from wooden for better storage option. 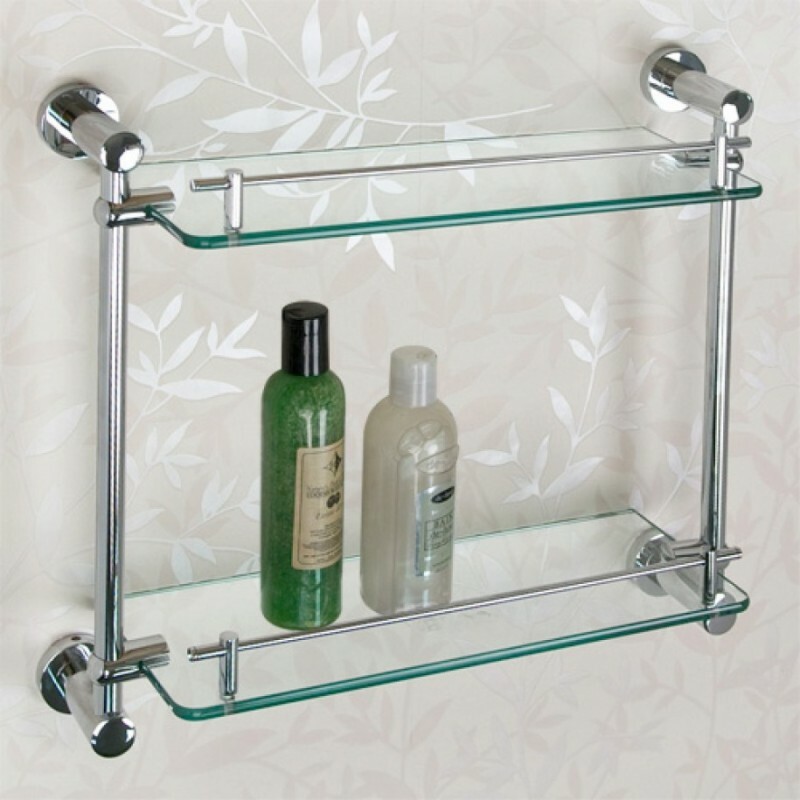 This teak shelf for the shower is providing proper storage option for your bathroom. 37. Cozy bathroom design with stunning shower shelf. The storage setting on this bathroom is attractive enough. It’s made from firm material with its chic appearance. 38. Solid texture from the transparent shower shelf. If you want to get minimalist bathroom design, then this is a good interior layout for creating such a contemporary shelving style. 39. 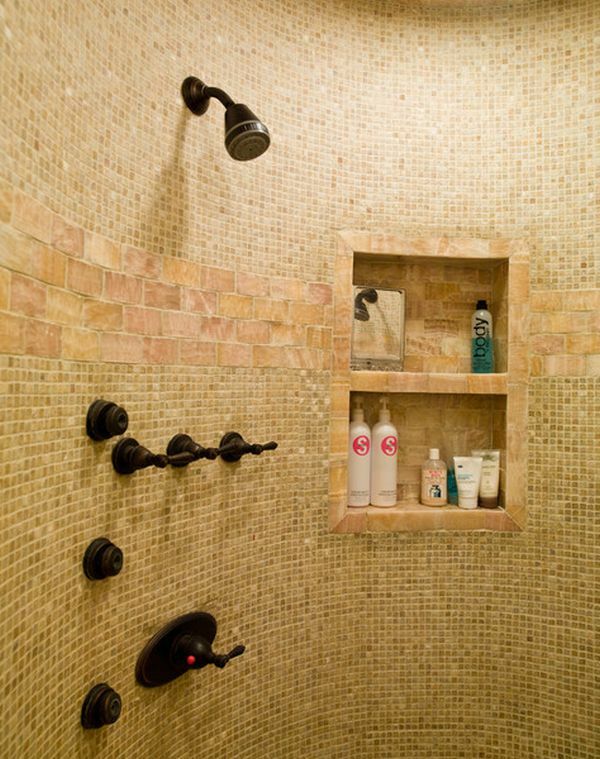 Again, the built-in storage is a catchy shower shelf for modern bathroom. This bathroom has a special built-in shelf design with its fancy appearance. 40. Different size for each shelf rows is a good layout to get. 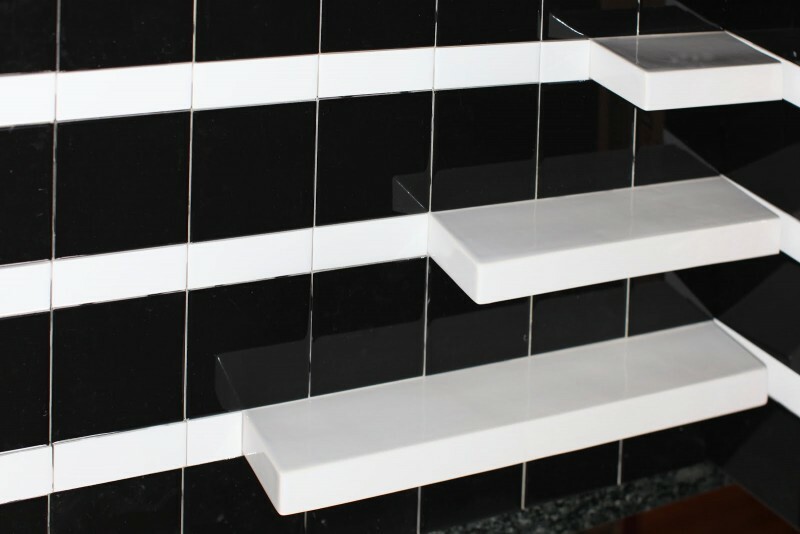 The black and white color of this shelving design is providing unique bathroom appearance. It brings different interior accent. 41. 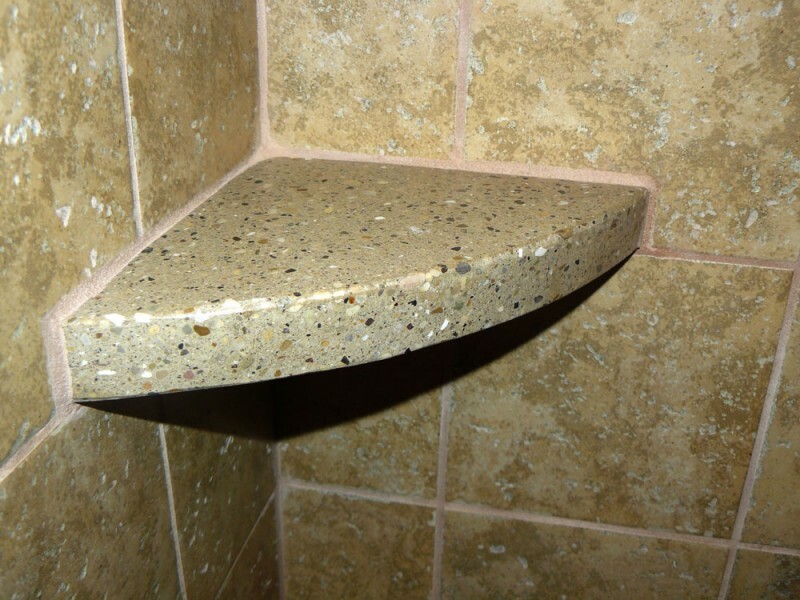 Fancy shower shelf with mesmerizing texture. Look at how adorable this shelf design with its compact appearance. It brings unique interior appearance with stunning shape. 42. Marble texture for your bathroom is gaining its elegance. The marble texture has a nice representation of the exclusiveness. 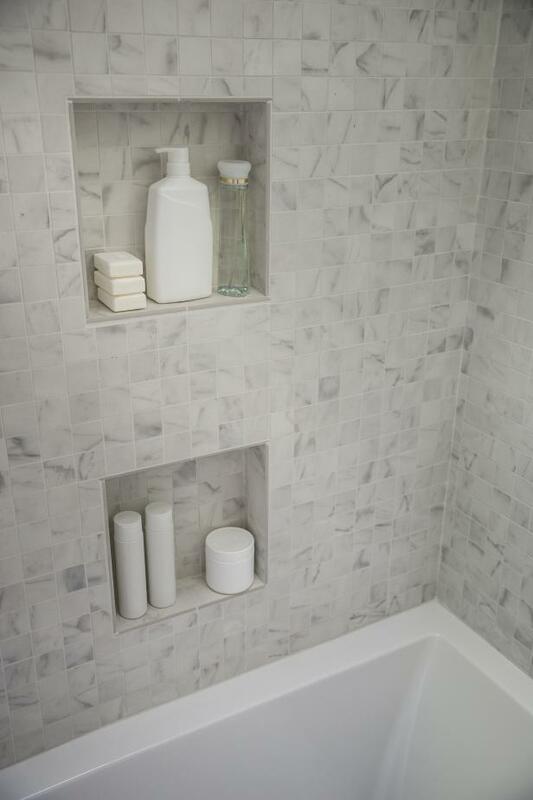 Adding a new corner shower shelf made from the marble tile is a good thing to try. 43. The transparent glass for corner shower shelf is fancy enough. 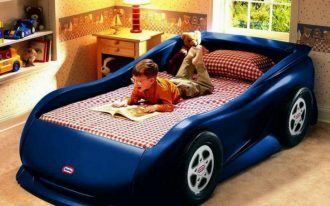 It looks chic and comfortable. 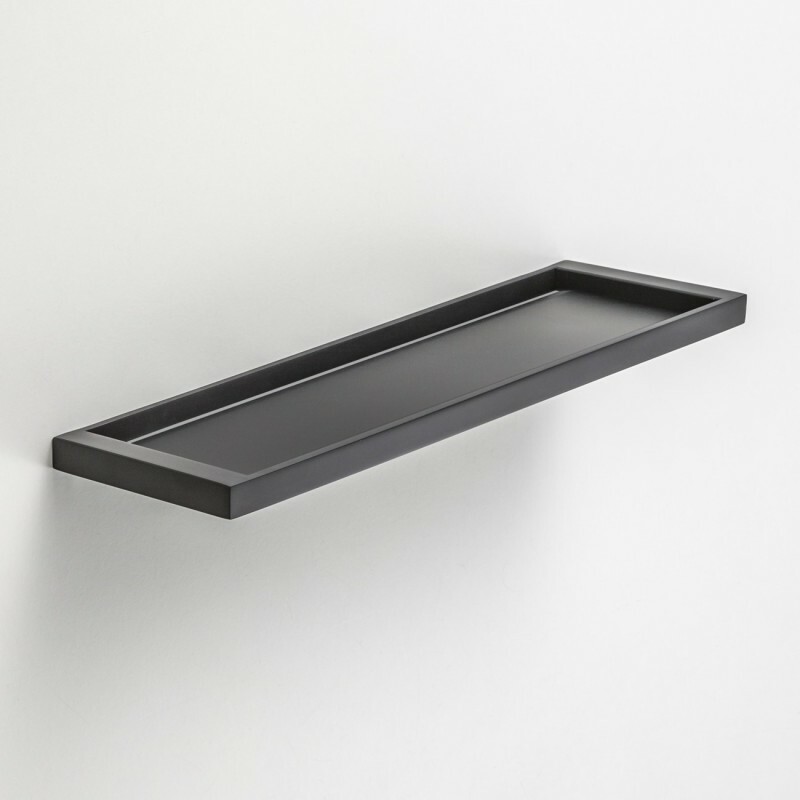 The minimalist size of this shelf is also gaining a minimalist impression for your bathroom. 44. Simple corner shelf design with comfortable interior shape. You also can use this unique corner shelf made from plastic. It looks simple enough. Of course, all you need to do is simply installing the main rail on your bathroom corner. 45. Unique shelving with cozy interior layout. This bathroom design looks trendy enough with its mesmerizing appearance. It provides contemporary interior appearance with cool theme. 46. Elegant bathroom design made with solid wall texture. 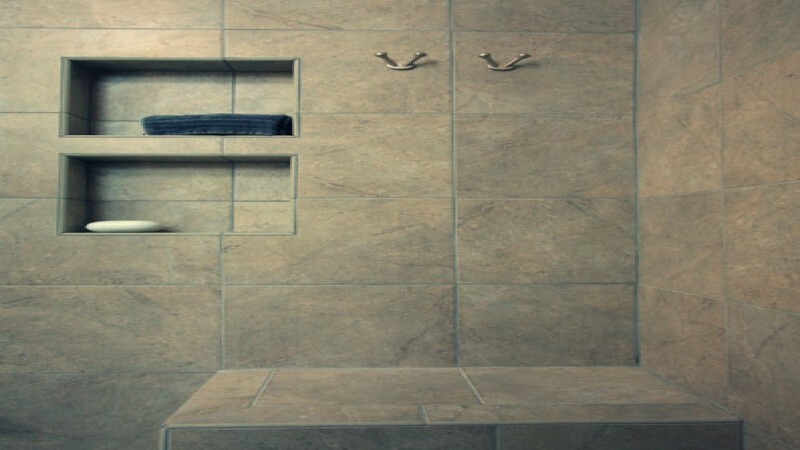 The gray color inside this shower is elegant with its additional built-in shower shelf. It can be a nice example of how cool bathroom should be. 47. 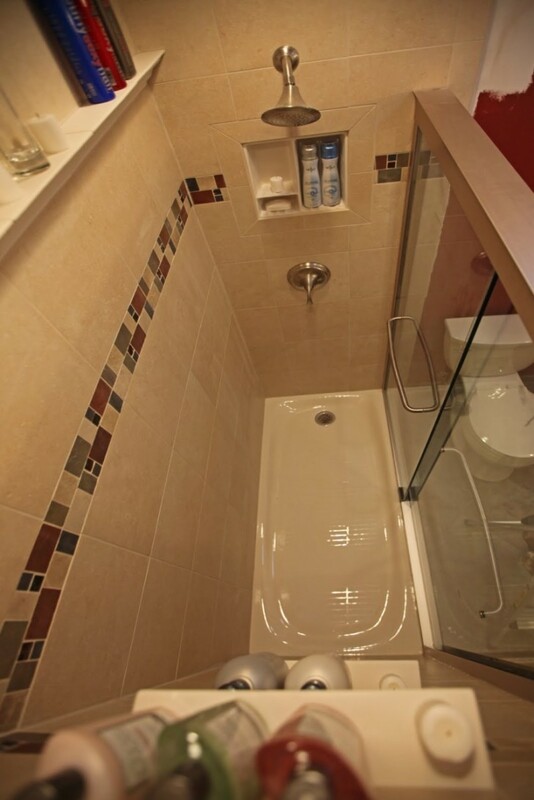 Interesting shower shelf inside a tiny bathroom. 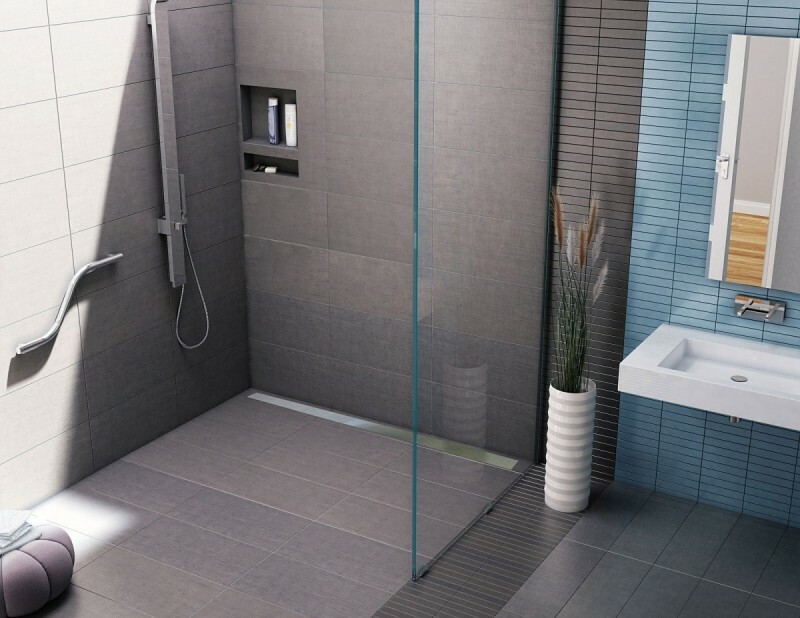 If you ever wonder on how to get a spacious appearance inside your tiny bathroom, then this is a great shower shelf example with its effective storage setting. 48. 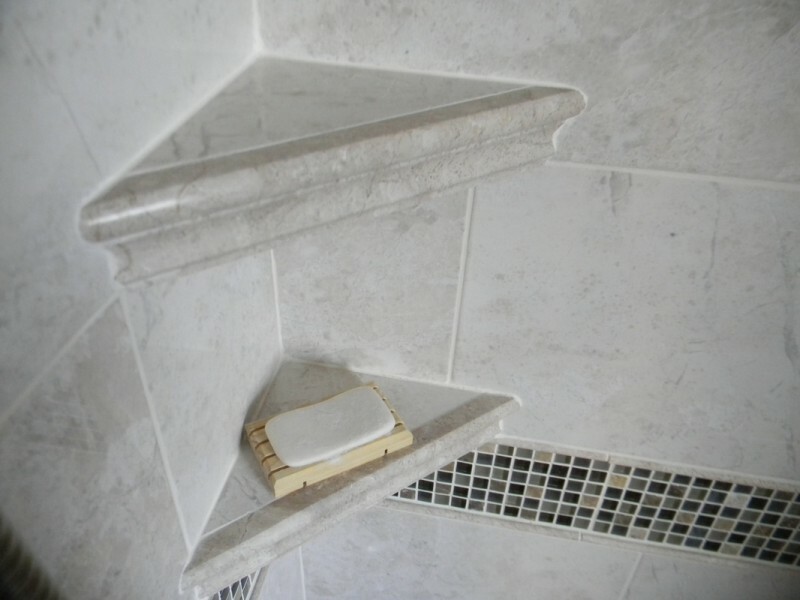 Comfortable shower shelf with chic design using marble texture. 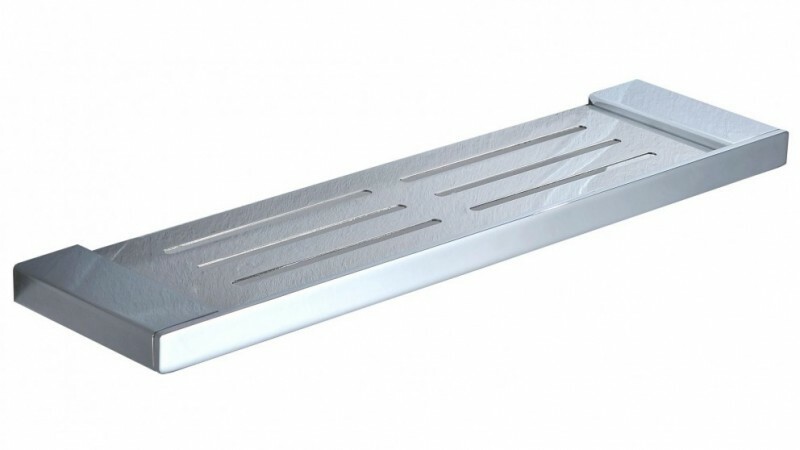 This shower shelf has amazing design with its unique appearance. 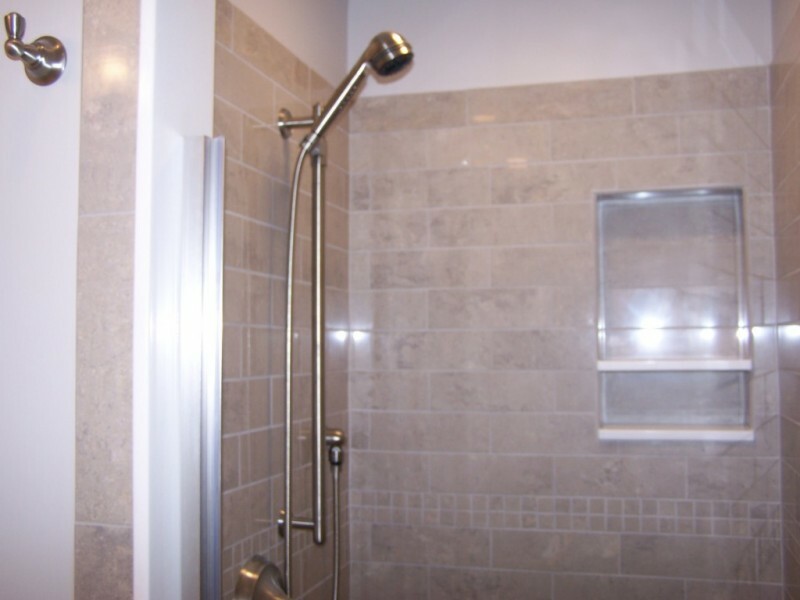 It also providing great interior design, which represents an exclusive shower interior style. 49. 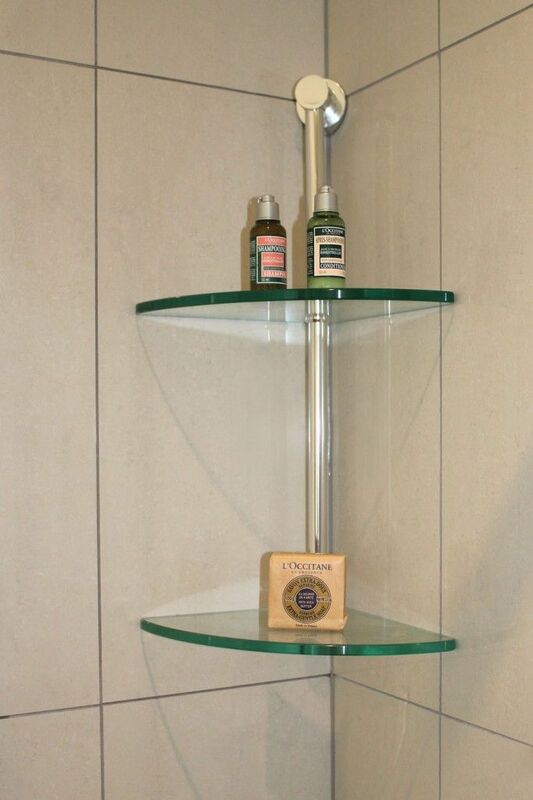 Simple shower shelf made from glass and aluminum. 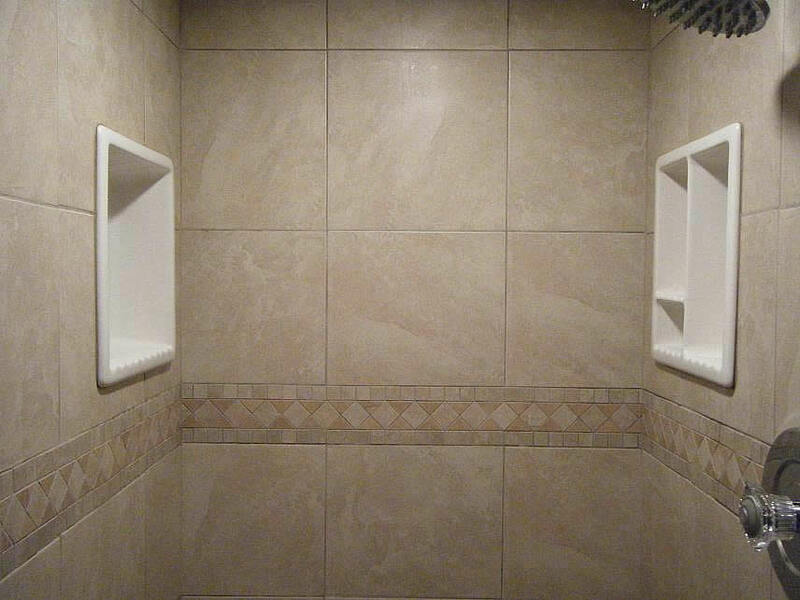 This shower shelf is also providing unique interior layout with cozy appearance. It has minimalist appearance with great texture. 50. 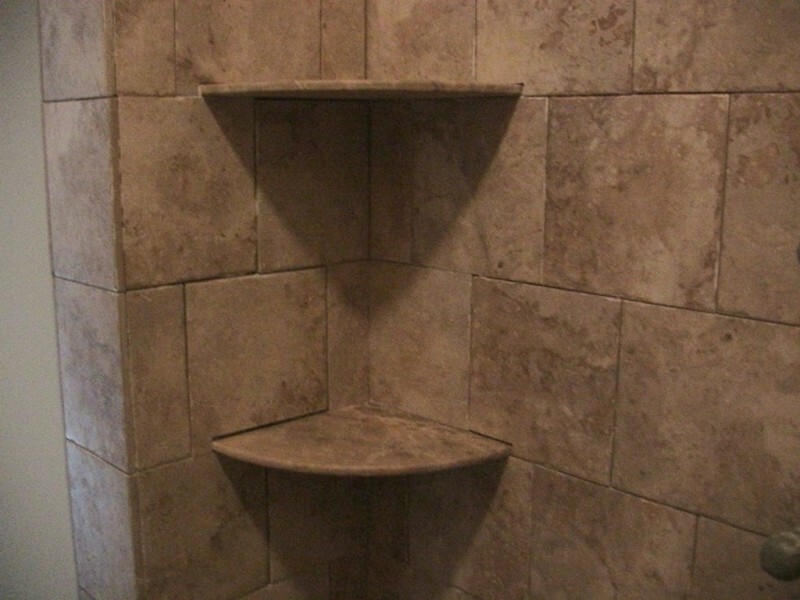 Interesting shower shelf with rustic appearance. 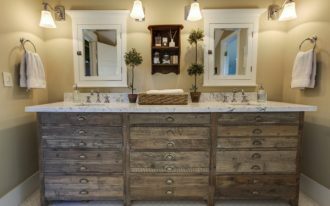 Gaining some rustic appearance inside your bathroom is also a good idea to try. 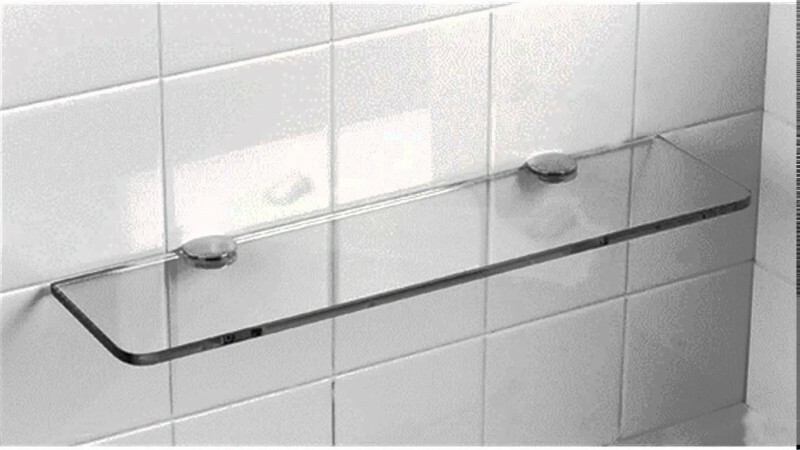 This is a nice shower shelf with its minimalist shape. The rustic texture on its appearance brings different room style. 51. Dramatic bathroom color with a bold contrast and interesting shelving. First, the shower shelf on this corner also has a function as the bench. 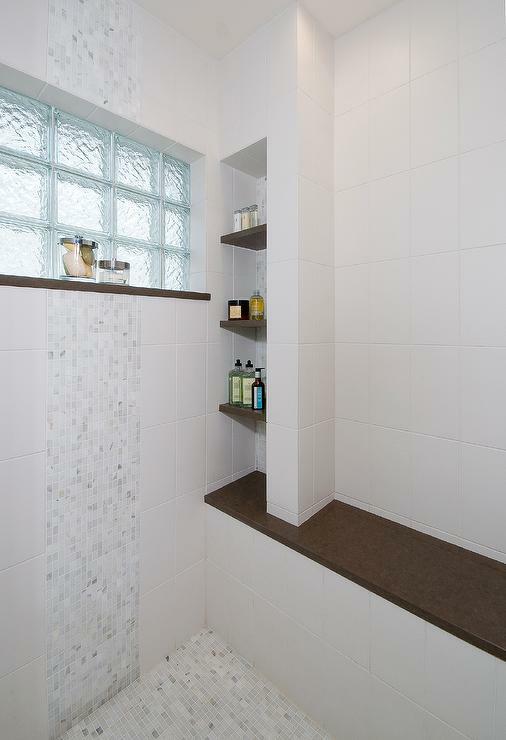 Second, the transparent shelving on this bathroom wall is gaining modern bathroom interior. 52. 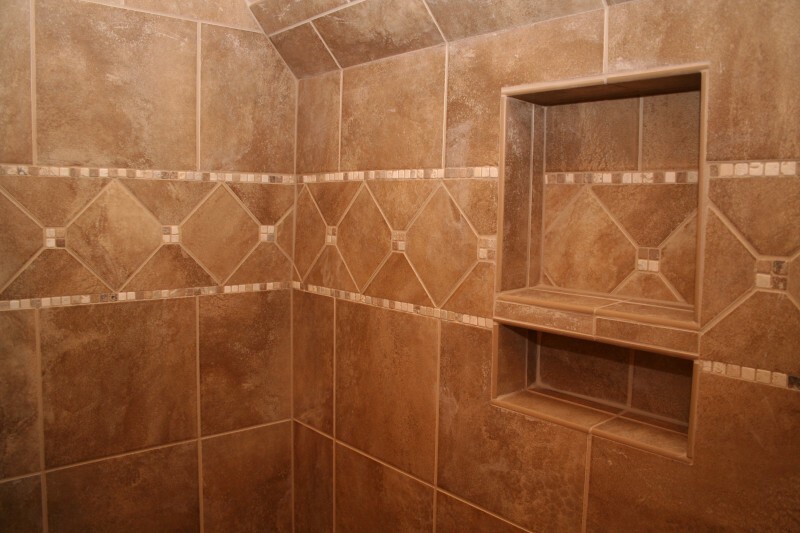 The combination between wood and brick is just awesome as the shower shelf. This bathroom has a unique style. It brings the combination between wooden material and brick texture inside its wall. You will get cozy appearance with this bathroom design. 53. 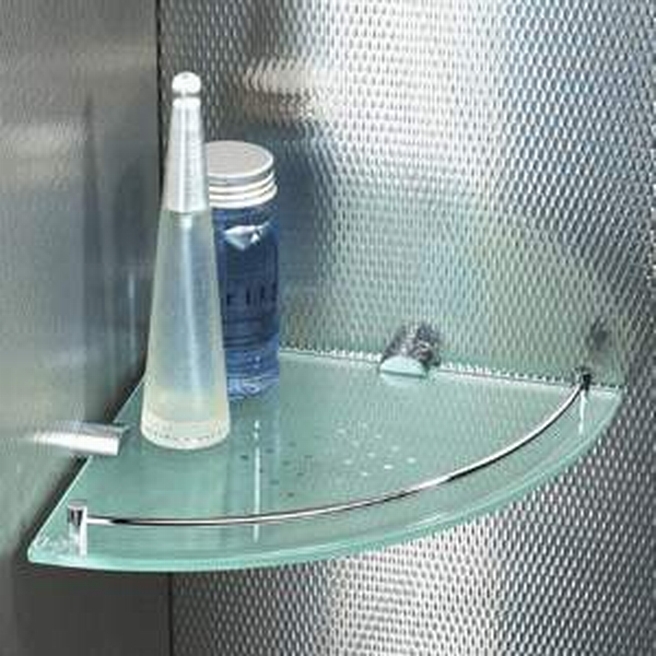 Interesting corner shower shelf with glossy texture. 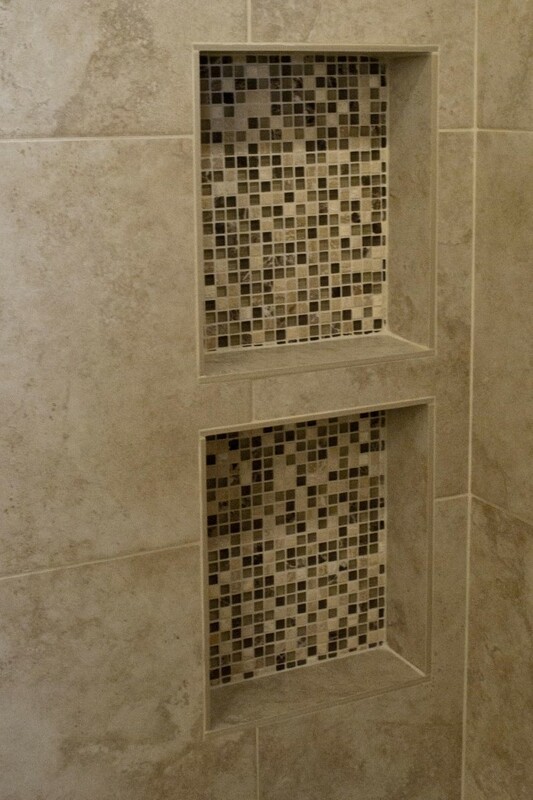 This bathroom layout is representing modern shower style with its cozy shower shelf. It looks glossy enough made from the ceramic tiles. 54. Maximizing the corner shelving is actually not that difficult. 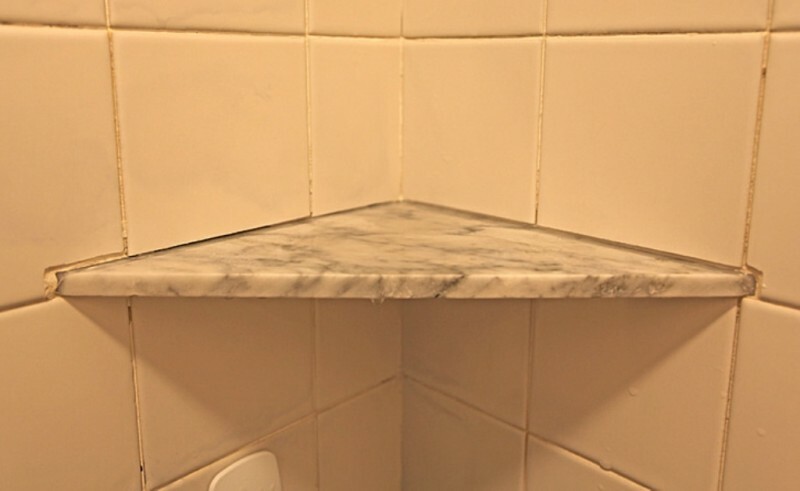 Look at how impressive this bathroom shelf with its corner style. It brings minimalist impression with a chic and cozy layout. 55. Unique bathroom shelving with rectangular appearance. This bathroom design is also unique enough. The large shelf design with rectangular shape is providing spacious storage with its different theme. It also brings unique interior accent. 56. 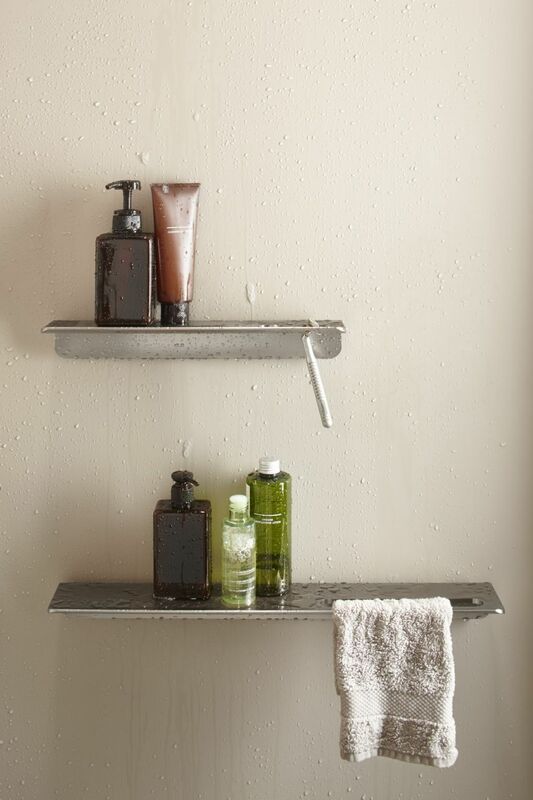 Metal shelves for your bathroom corner are just awesome. This corner shelf has a solid and firm texture made from metal. It also looks fancy enough with a great design. 57. 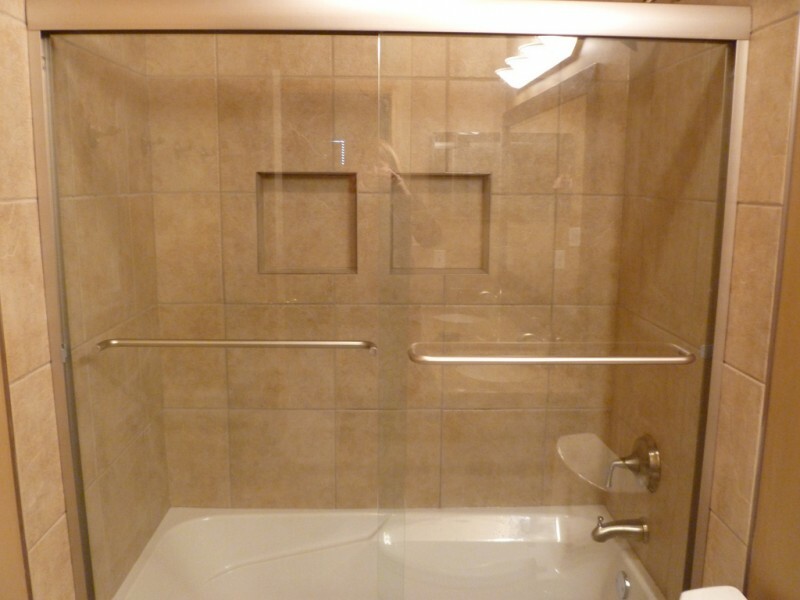 Additional glass for the built-in shower shelf is a good thing for the cover. 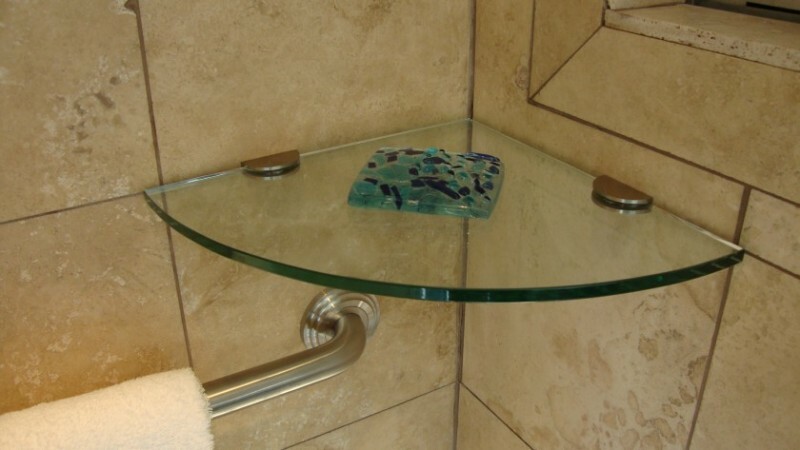 If you want to get a safe storage design, then just put additional glass on your shower shelf. It can be a nice cover, which brings modern impression for your bathroom. 58. Stunning shower shelf with unique interior shape. This shower shelf has a standard appearance. What makes its different is the placement of its design. Try to use the same style for making better interior space. 59. 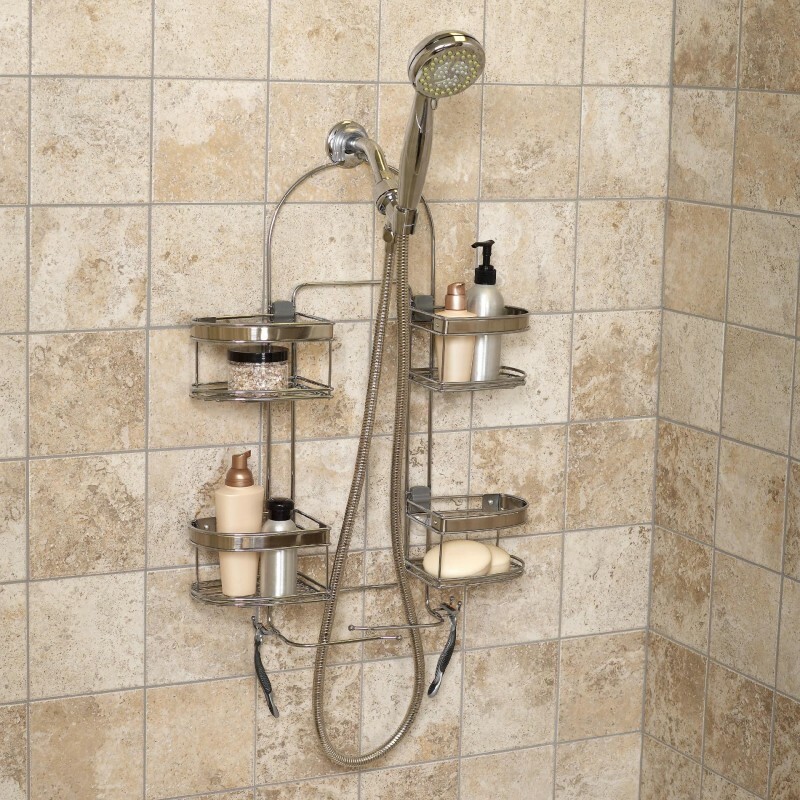 Unique shower design with a compact shelf. 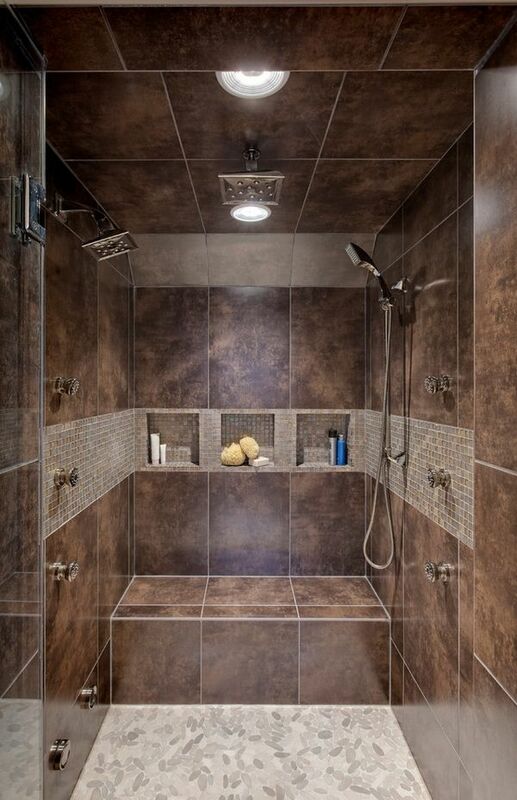 This shower also has a minimalist interior design. The compact shelf inside its wall is providing mesmerizing interior shape. 60. Unique storage shelving with in your shower corner. 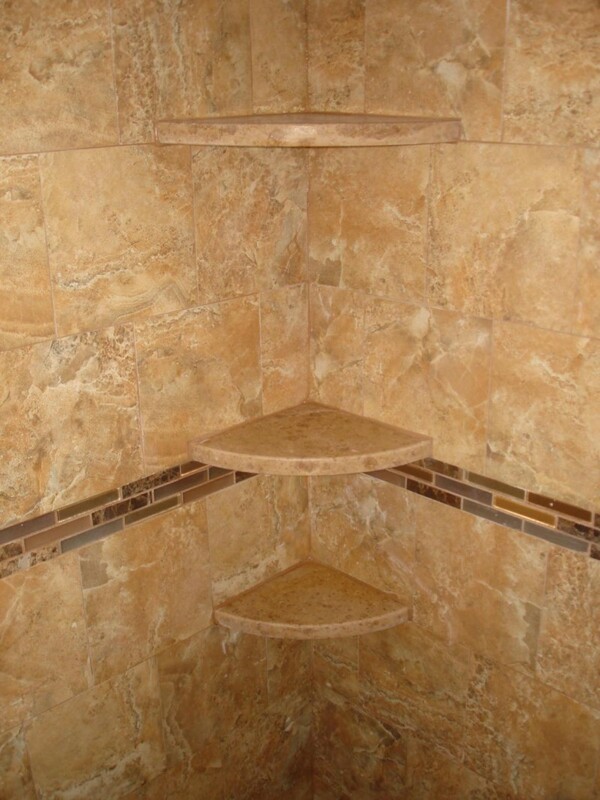 Try something different like this shower shelf. It has additional holes as the holder for your stuff.